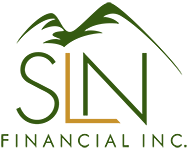 November 28, 2016 - Many Reasons to Give Thanks | SLN Financial, Inc. Investing brings with it a world of planning complexities to navigate as you pursue your unique financial goals. And your beneficiary planning when you have life insurance and annuities is no different. Because your estate includes a variety of assets, you must effectively and strategically address your life insurance and annuities. At its heart, beneficiary planning is really about addressing what legacy you want to leave, how, and to whom — all of which are connected to your life insurance and annuities. As you work with your trusted advisors to plan your beneficiary strategies, here are some questions to consider for both the life insurance and annuities you hold. 1. What type of policy do you hold? The type of policy you chose will drive how you’re able to pay funds to a beneficiary. For example, First-to-Die life insurance is a group policy that pays out to the beneficiary once the first insured group member dies.1 Meanwhile, a Survivorship policy will pay out once the last person in the insured group dies, meaning the beneficiary will have to wait longer to receive any payouts.2 Knowing how the structure of your life insurance affects your beneficiary planning will help determine how you manage your estate. 2. Who owns your policy? How you assigned ownership to your life insurance policy will affect various estate details, including how you must manage taxes. Do you own the policy? Have you assigned it to your spouse? Did you put the policy in your children’s names? There is no simple right or wrong answer for assigning ownership — instead, you should select the option that best suits your estate planning strategies. This choice determines details such as how much control a person has over the policy and whose estate the death benefit is included in and more.1 Properly assigning and managing this ownership should be integral to your planning. 3. Is a trust assigned to your life insurance policy? For some people, managing their beneficiaries makes more sense by assigning a trust to the life insurance policy. Naming a trust helps address three key concerns: 1) tax strategies, 2) inheritance that includes a minor or an irresponsible adult, and 3) asset protection needs.3 When life insurance benefits pay out to the trust, they aren’t included in the gross value of your estate. We can help you determine if this approach is appropriate for your family’s unique needs. When you hold annuities and are addressing your beneficiary planning, you’ll want to ensure you have all the details in place so you work to minimize taxes and maximize your opportunities. 1. What type of annuity do you hold? As a retirement-income investment, annuities can help you grow tax-deferred savings until you’re ready to withdraw your funds, which you can start doing at age 59 1/2. Because various annuity options exist, the way your beneficiaries receive payouts will also vary. For example, with a Joint & Survivor for Life option, payments automatically end once the survivor also dies.4 As a result, you can’t set up beneficiaries to receive any further payments — even if your annuity didn’t pay out in full. Knowing what type of annuity you hold will guide the beneficiary options you have available to you. 2. How will taxes affect your annuity? Different payout options can be hit with taxes that may deplete the money your beneficiaries receive, so it’s important to navigate this detail with care. For example, if you elected a lump sum payment — which pays out the annuity in one full payment — beneficiaries will have to pay taxes on that entire amount.5 Another detail to take into account is how annuities affect your estate taxes, and if you elected a person or a trust as the beneficiary.6 We can help you address your tax strategies during your beneficiary planning. 3. How many annuitants did you name? You can assign more than one annuitant to your annuity, depending on what your unique goals are. You can purchase them for yourself, for you and your spouse, or even for your grandchildren. The annuitant structure you create when purchasing your annuity will drive details such as how you manage payments from the annuities’ cash values. And different companies manage how you’re able to assign annuitants and beneficiaries in various ways.7 So, when doing your beneficiary planning, you’ll want to understand how the number of annuitants you name affects your options and strategies. Ultimately, your life insurance policies and annuities are an important aspect of your legacy planning. And you should always revisit your beneficiary strategies as your life evolves. From navigating taxes to overseeing payouts, you have many factors to account for — and getting ahead in your beneficiary planning will help you protect your investments and your family.